Daily Illuminator: SPANC Has Arrived! 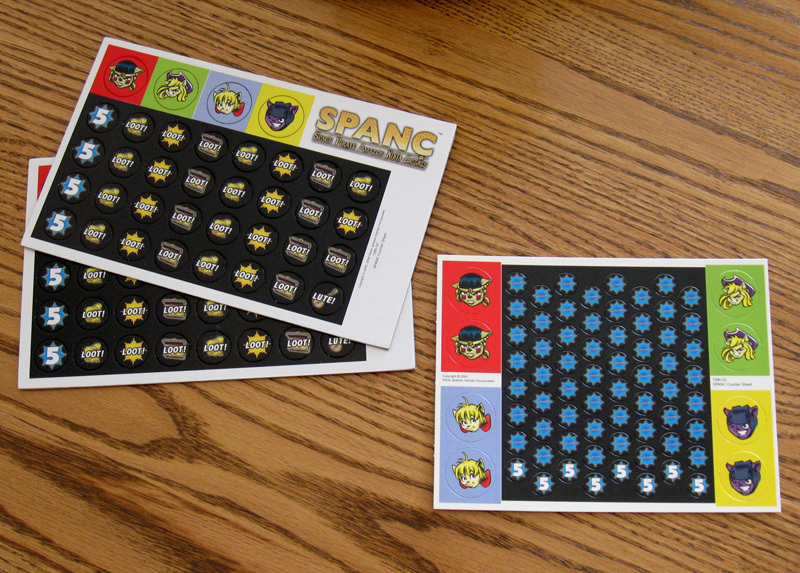 December 10, 2008: SPANC Has Arrived! The latest print run of SPANC has arrived, to the joy of many. If you missed out on a copy of the first printing, this is good news. But this is also good in terms of the new elements of this printing. Sure, the mechanics still rock the same as the previous printing, but the counters are larger (click here for a comparison), and look better in general (thanks to the linen finish). Phil's been bringing higher quality components to our lines, and even the reprints are reaping the benefits. Hurray Phil!